Eye exams are important for everyone! Getting your eyes checked by a qualified ophthalmologist on a regular basis will help you maintain good vision and eye health. At Dr. Cooper Pediatric Ophthalmology and Family Eye Care, we help people of all ages keep their eyes healthy. This FAQ is designed to answer questions you may have about our eye exams. What do eye doctors check for during eye exams? Refractive error. Our eye doctors check all our patients for visual clarity. 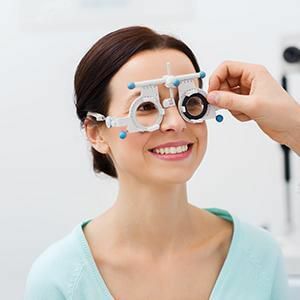 Patients who show signs of refractive error may need corrective lenses. Eye health. Tests we perform on the eyes reveal presence of eye diseases like macular degeneration, cataracts and glaucoma. When we detect presence of eye disease, we make recommendations for treatment. Eye function. 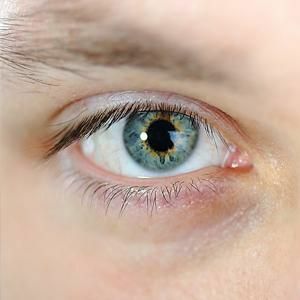 Eye exams reveal whether or not a patient's eyes are functioning properly. Color vision, depth perception and tracking are all tested during eye exams. Eye exams can help your ophthalmologist detect eye diseases early, which can prevent eye damage and blindness. In addition, clear vision is important for functioning in school and the workplace. Seeing an eye doctor will help ensure that you can see clearly enough to read, write, drive and perform other tasks. When should children start getting eye exams? Children should get eye exams starting at age 6 months. How often should patients get eye exams? Patients young and old should see the eye doctor on an annual basis, unless the eye doctor recommends otherwise. We recommend that school-aged children see the eye doctor before beginning school each year in the fall. 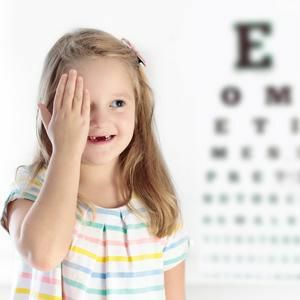 Taking your child to the pediatric ophthalmologist each year at the end of the summer will help ensure that your child can see well enough to read the board and complete homework assignments. Should you get an eye exam even if you don't have symptoms of eye disease? Even people who do not have corrective lenses or symptoms of eye disease should see the eye doctor once per year. Eye diseases and refractive error can develop at any time. Seeing an eye doctor will help ensure that your eyes get the care they need when a disease or vision problem develops. No, eye exams do not hurt. Eye exams are safe and gentle for all members of the family. Is it possible to give a baby an eye exam? Yes, it is possible to give a baby an eye exam. Our ophthalmologist Dr. Cooper will use lights, toys and other items to detect functioning and visual acuity in babies. These tests are not uncomfortable for your child and will tell Dr. Cooper quite a bit about your baby's eye health. For more information about our eye exams, contact us at 650-259-0300. We'll be happy to answer any questions you may have and schedule an appointment for an eye exam.